You will definitely steal the spotlight when you hit the streets wearing this white colored top. 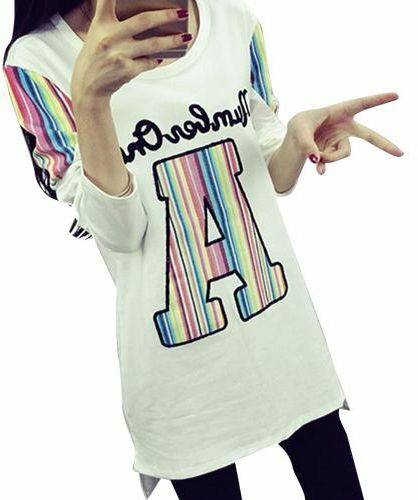 Stylish in every sense, it features a random designs, long sleeves. Tailored in regular fit, it is also extremely soft against the skin. Machine cold wash, Do not tumble Dry, Do not wring, Dry flat in shade, Do not bleach.